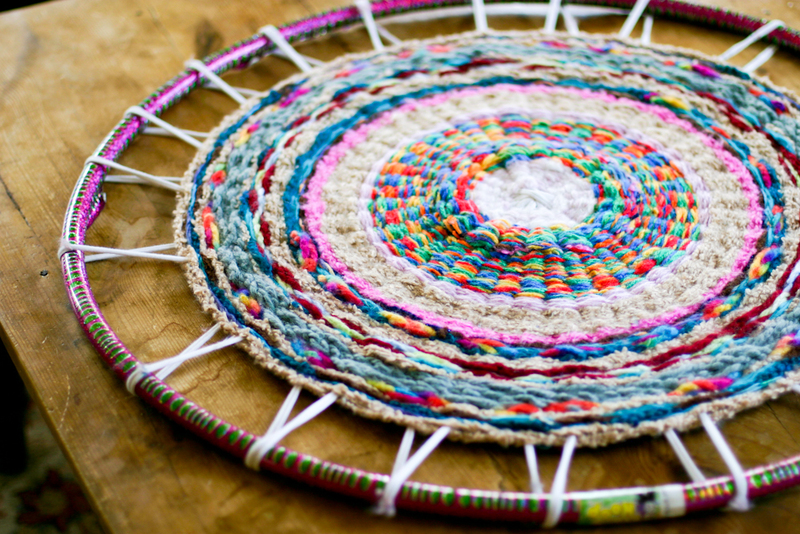 I'm a huge fan of folk art and fiber art, so I was thrilled to come across this DIY project. Can you believe that you can make such a cool rug using a hula hoop as your loom! Use old t-shirts (like all those I've racked up from races) or for a more sophisticated look use beautiful yarns and fibers. It does look time consuming so I might opt to use mine as wall art. any ideas on what could be used to replace the hula hoop for smaller projects? Thanks Tracey, I'll be sure to give that a try. What a great idea!! !